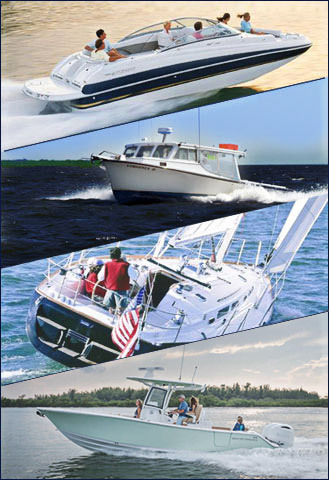 GEICO Marine Insurance was originally established in 1989 in Annapolis, Maryland as Seaworthy Insurance Company. In 2007, the company was acquired by Berkshire Hathaway, providing more capital, strength and security for the company and its policy holders. In 2015, GEICO became the parent company of Seaworthy Insurance Company and changed the name to GEICO Marine Insurance Company. GEICO Marine Insurance Company remains a Berkshire Hathaway Company and now enjoys the support and name recognition that comes from GEICO. Why choose GEICO Marine Insurance for your customers? The strength of our policies, people, systems and service set us apart from other insurance companies. Our commitment to supporting agents by providing hands-on assistance coupled with an array of policies for all boat types, makes GEICO Marine Insurance the choice when it comes to yacht and boat insurance. Visit our Agent Section for more information on how to become an appointed agent. GEICO Marine Insurance Company enjoys an A.M. Best rating of A+. GEICO Marine Insurance Company is licensed in all 50 states and the District of Columbia.